Namaskaram. I am Dr.Venkataraghavan , an eye surgeon. My wife, Gayathri Venkataraghavan , is a musician and both of us owe everything in life to the boundless GRACE OF MAHAPERIYAVA. Many years back about (12 to 13), a Muslim gentleman walked into my clinic. Seeing MahaPeriyava’s photo, he bowed in reverence and mentioned that MAHAPERIYAVA is a great sage. I was surprised and asked him how he does he know about MAHAPERIYAVA. The Muslim gentleman shared his anubhavam which I shall present as a first person account as narrated to me. “Sir, I was a linesman in electricity board about 30 years back… We, in a group of 5 or 6, went to the Kanchi Matam to attend to a fault. MahaPeriyava who was seated there, gestured me to come and queried whether I prayed 5 times a day. I was shocked as to how MahaPeriyava could make out my religion. Sir, that was only the beginning of my surprise. Then MahaPeriyava quoted from the HOLY QURAN extensively. We are tamils who read the Quran. So the arabic that we read will have a tamil tint. However MAHAPERIYAVA recited the QURAN just as an arab would speak his native tongue. His purity of diction was truly amazing, Sir. If I had thought that this was great, then more was to come , he said. MahaPeriyava then quoted a particular point and asked me how many times had the Quran mandated daily prayer? I replied 5 times as any devout muslim would. MahaPeriyava then asked me to get it clarified by the local kazi. I did so and reported back to MahaPeriyava, the same news. MahaPeriyava then told me to get in touch with the chief kazi at madras and get back to HIM. The chief kazi not only said the same thing but chided me of asking useless questions. I reported the same to MahaPeriyava. It was then that a great feat happened. MahaPeriyava asked for the Quran book to be brought and effortlessly showed and quoted from the Arabic that, actually mandated daily prayer was 6 times . However since the 6th time falls at 11.30 pm many people skip it. He told me that if I prayed for the 6th time also I would really benefit. Sir, true to His word, I retired as an executive engineer of EB. Then when I had gone to Kamakshi temple for official work few times, MahaPeriyava would recognize me, bless me and ENQUIRE NO.OF TIMES I PRAY!!! Just look at the ENCYCLOPEDIC KNOWLEDGE OF MAHAPERIYAVA THE OMNIPOTENT OMNIPRESENT GOD WHO WALKED. I was really blessed to have listened first hand to such a great anubhava. MAHAPERIYAVA has blessed countless souls irrespective of their religion. Oh MahaPrabho, KEEP US WITHIN YOUR BOUNDARY !!! Namakku Katradu kai man Alavu. Avarukko ULAGALAVU. Saranam to HIS feet. Blessed are those people who read this. We can only shed tears. Hara Hara Shankara.. Jaya Jaya Shankara. Maha Periyava is a Sarva Matha Guru who has followers from every religion. It is we who are eternally benefitted by praying to Him and experiencing His Presence in our lives. Hara Hara Shankara, Jaya Jaya Shankara! Please release the ‘Experience’ interview of Sri Ramani Mama, the father in law of Dr Venkataraghavan. GURAVE SARANAM ENGUM SHANKARA ELLAME SHANKARA EPPODHUM SHANKARA JAYA JAYA SHANKARA HARA HARA SHANKARA . 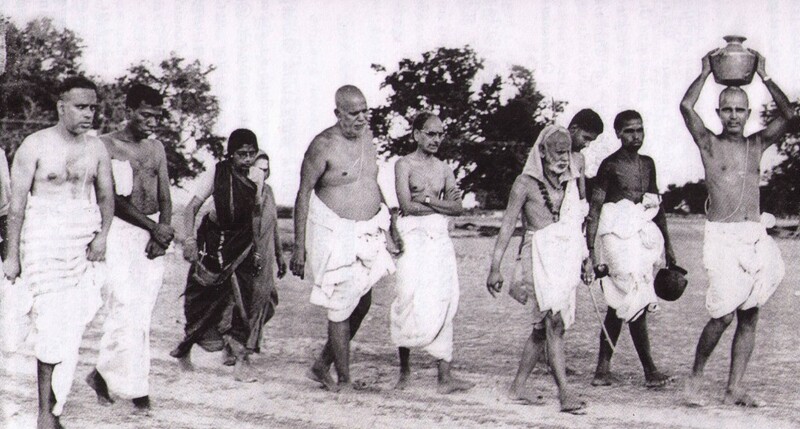 Sri Maha periyava thiruvadigale Saranam! periavaa karunai sollil adangathu our oru encyclopedia.thappu thappu bhagavanukku theriathathu enna irukku.solrathum avrey solla vaikkarathum avare sollitharathu avrrey.namathan our solrapadi nadanthukarathukku kooda muarchi panrthille. None in the current period nor in the years to come you can find a great soul like MAHA PEERIYAVA . Before we complete reading we are not ‘I’. After finishing it is watery eye. With the same divine ecstacy let us for a minute stay still and visualize Kanchi adhishtaanam of sri mahaperiyava and chant atleast narayana or siva siva and then seek his blessings, instead of skipping to next item. Sorry if I have disturbed you. You are fortuate to have been associated with Mahaperiyava, who was a “kan kanda deivam” for us all. Smt GV & you are doing a great service with his anugraham. God bless you both and your two children with long life, good health, peace & happiness. guide & help us all, who believe in HIM. I am so lucky to have had HIS darshan a couple of times in my life. ஸ்ரீ மஹா பெரியவா ஓர் நடமாடும் தெய்வம். அவர் சிவேஸ்வரனின் மற்ய் அவதாரம். ஸ்ரீவேஸ்வரனுக்கு தெரியாதது எது. 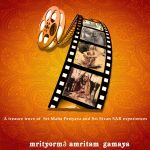 நாம் அனைவரும் ஸ்ரீ மஹா பெரியவா வாழ்ந்த நாளில் பிறந்து அவரின் தர்ஸனத்தை பெற்றது பெரும் பேறு. ஆத்மானுபவம் உள்ளவர்களுக்கு இது நன்றாக தெரியும். ஜய ஜய சங்கர ஹர ஹர சங்கர காஞ்சி சங்கர காமகோடி சங்கர் சிவசிவ சங்கர ஸ்ரீ ச்ந்திரசேகரேந்திர சங்கர நின் பாத சரணம் பாப விமோசன்ம். Spellbound. Do we need to repeatedly reimpose our faith in him, having known that he was God incarnate. He was beyond comprehension. O My God, Oh My Lovely God. What a wonderful episode. Thanks for sharing . Mahaperiyava was not only an encyclopedia but possessed an uncanny way of making a point . what we know about SRI MAHA PERIYAVA is too little. what we do not know about HIM is limitless and endless. sir can any one suggest me a comprehensive biography to read on bhagavan ,written by a close associate of swamy either in english r telugu. Sir. I m u r patient. U mus .t b remembering during last month july 2015. We spoke about periva. Daily i do 108 pradakshinam by keeping. The photo of periva. I m so peaceful . My saying is “”kali ugathil. Faivam yengal. Kanchi mahaperiva ,nichchiyam nee arulavendum 100kanda periva. .